You get the keys to your first home and you are all ready to play house. 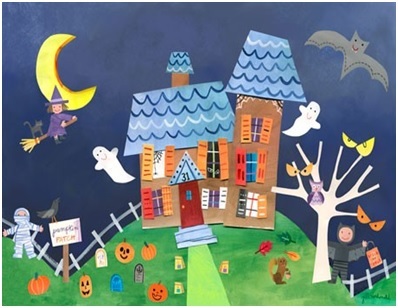 You decorate for Halloween and give out candy, but are you playing trick or treat with your ownership rights if you don’t have title insurance? Nobody dresses up on purpose to be a homeowner who loses their home to a title claim because they didn’t have the resources to pay for the defense. You can be dead right, by definition, could have won, if I could’ve had enough money to pay for the defense. It is the homeowner’s responsibility to defend his ownership rights in a court of law. That means if your neighbor says your cemetery is three feet on his lawn, you could have a tombstone of legal expenses regardless of whether or not he’s right. Don’t get egged by a property ownership challenge. For a one-time fee at closing, you can purchase title insurance that covers all the missing links which may haunt the chain of ownership title on your property—errors and omissions, heirs, and fraud and forgery. Title insurance provides and pays for legal representation to defend your title in a court of law. Don’t let title claims scare you. Get title insurance and unmask the fear of hidden risk to your real estate. Posted on October 31, 2014, in Title and tagged Bonita Springs Title Company, Cape Coral Title Company, Fort Myers Title Company, Jennifer Ferri, Property Guiding, SWFL Real Estate, Title Insurance, Title Junction, Title Work. Bookmark the permalink. Leave a comment.